It’s been several months since this publication last appeared, so there’s a lot to catch up on in the local restaurant realm. 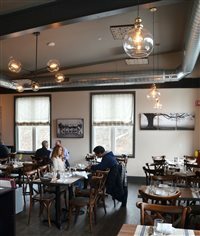 Il Coco Pazzo (The Crazy Rooster) is now open at 139 South Main St., serving up Italian and other European specialties in a good-sized storefront space with a bar across the street from the currently-stalled Auto Zone construction site. 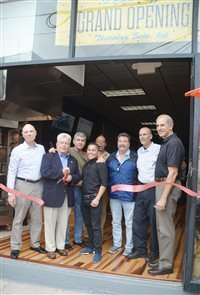 Spring has finally sprung and with it has come the long-awaited opening of a new restaurant in the Port Chester Metro-North station. Station House opened quietly on Tuesday, Apr. 17, and the Village Beer Garden next door made its 2018 debut the following week—on Thursday, Apr. 26. 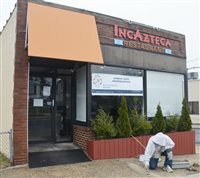 Did you know that there are now two Peruvian restaurants in Port Chester that begin with the word Panka? The second opened Dec. 27, 2017 at 112 Willett Ave., where Cousin Frankie’s USA Grill used to be. Taking over a space where two other Italian restaurants lasted only a matter of months before it, Romo’s Italian Kitchen & Bar at 108 Abendroth Ave. is destined to be different—for many reasons. Second, his wife Ashley, who has worked in event planning and catering, is lending a hand to get Romo’s up and running. The couple just got married at the end of January. At age 31, Edwin Montoya co-owns two successful restaurants with his brother-in-law Edi Rivera. The second, Capers Mediterranean Restaurant, opened Sept. 1 in the space that last housed Café Mirage for 15 years and was originally built as a Shell station at 531 North Main St. near the Greenwich border. 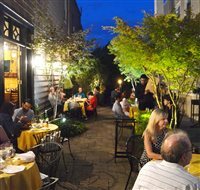 The number of Port Chester and Rye Brook restaurants offering outdoor eating in 2017 has increased by seven since last year, with seven brand new restaurants on the list, one having moved to a new location and two back after a hiatus. 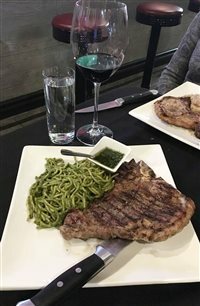 In the ever-changing and dynamic Port Chester and Rye Brook restaurant world, two eateries have opened within the past month, and two have closed. Brandi Trattoria and Brandi Pizzeria are finally scheduled to open next week at 108 Abendroth Ave. and 23 North Main St., respectively. Argana Restaurant & Bar at 325 North Main St. is open and welcoming customers to its exotic interior where you will be treated to both sweet and savory modern Moroccan cuisine and treated royally by Nordine Achbania and his staff. On a Sunday night last month I set out to discover which wing restaurant in town had the better chicken wings, something I had been planning to do since Wingstop opened in mid-December. Ever since I noticed the banner revealing that a Moroccan restaurant was coming to town back in October, I was thrilled. The fact that little information was available about it added to the intrigue. 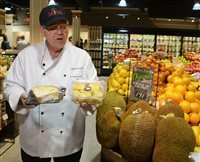 Balducci’s Food Lover’s Market made an immediate impression when it opened in the Rye Ridge Shopping Center on Friday, Jan. 27, taking the place of the long-shuttered D’Agostino. So many restaurants are coming to town that it’s hard to keep up, so I’ll bring you up to date. 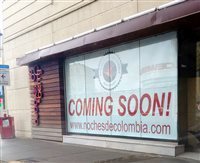 Since I last did an update on the ever-changing dining scene in Port Chester and Rye Brook two months ago, one restaurant is just opening, others are coming along, another I only recently discovered had been in the works may be opening soon and two have closed, both unexpectedly. T&J, what can I say? After 26 years, it’s a staple in the Port Chester/Rye Brook community. 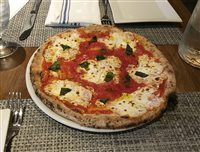 And now that the Italian restaurant known for its delicious Neapolitan family recipes, traditional and gourmet pizza, homemade pasta and warm hospitality has moved a block away to spanking new quarters in a newly constructed building with twice the space. Another batch of restaurants that has been in the works for some time is finally coming to fruition while the conversion of a closed restaurant into a new one has just surfaced. There are now nine Mexican restaurants in Port Chester, but only a few have the longevity of Coyote Flaco, which will be celebrating its 25th anniversary in December. It doesn’t look much different from the outside than it did 25 years ago, but tiny Coyote Flaco, located at 115 Midland Ave., has grown over the years, from a seating capacity of 20 to 30 inside and doubling from 25 to about 50 on the outside patio.